New York’s Subway is an essential part of the city. One of the world’s oldest and most extensive public transit systems, the subway’s 24 lines traverse Manhattan, Brooklyn, Queens and the Bronx 24 hours a day. Given NYC’s size and congestion, the subway is the by far the quickest and most economical way to traverse the city. 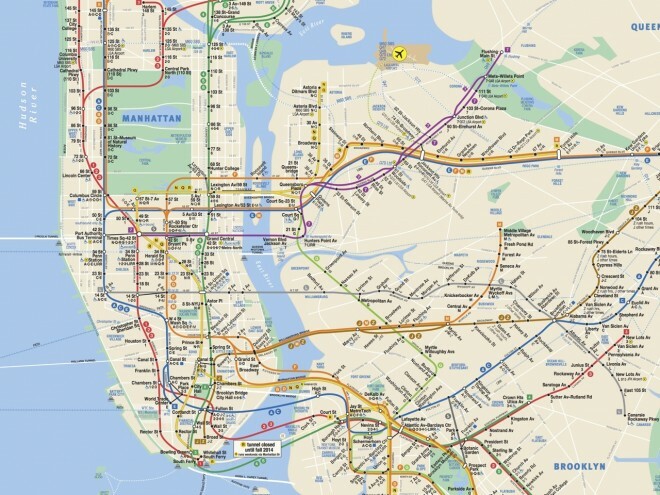 Here are the tips you’ll need to easily navigate New York’s Subway. 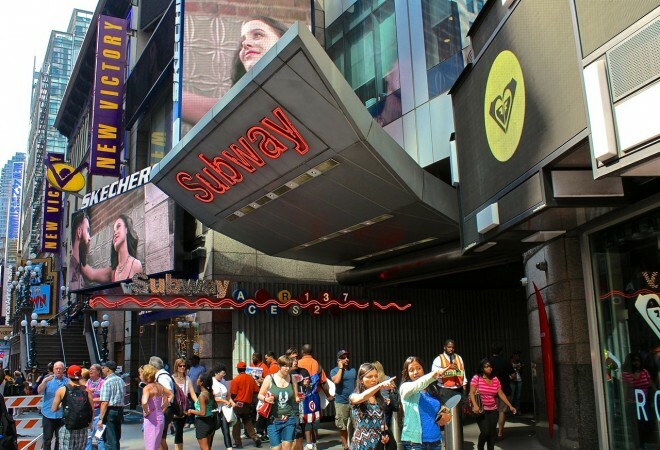 NYC’s Subway includes 468 stations on 709 miles of track. Each subway line has a distinct color and number or letter to identify the route. Most lines run north-south through Manhattan (often directly below avenues) before branching into the boroughs. Most lines have local routes (stopping at every station) and express (stopping at fewer stations, which are identified on the map with white circles). The subway utilizes Metrocards, which are swiped through readers on the turnstiles for entry to the platforms. Metrocards are sold by vending machines found at station entrances. They accept payment by cash, debit, or credit card. The fare is $2.50 ($2.75 for Single-Ride cards). Metrocards are sold by Value (i.e. 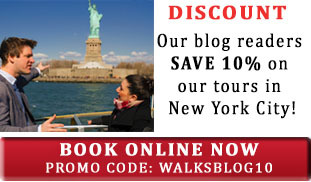 $10, $20, $30, which is deducted per swipe) or Unlimited Rides (7-day-$30, 30-day-$112). Note: Unlimited cards cannot be shared – there is an 18-minute delay between swipes. Pay-per-ride cards are sharable and can be swiped up to four times before the delay. Metrocards are accepted on both the subway and city buses. You get an automatic free transfer between subway and bus, or between buses. The MTA charges a $1.00 fee for new Metrocards. To avoid multiple fees, hang onto your card and refill it as necessary. Always get a receipt from the Metrocard vending machine. The machines sometimes malfunction, charging you without producing a card. The MTA won’t process a refund without a receipt. While select stations have Information Booths staffed by MTA agents (particularly near tourist destinations), most stations are unmanned. Subway maps and information are posted near the entrance, as well as on the train platforms. An interactive map is available here, which can be printed as a PDF. Read station signs carefully, noting the subway line and route, direction (Uptown or Downtown, Brooklyn, etc. ), and local or express trains. In general, local trains run on the “outer track” (close to the tunnel walls), and express trains run on the “inside track.” While waiting for the train, listen for system announcements, and always stand behind the yellow strip at the platform’s edge. Many subway stations are equipped with cellular network access and free WiFi. Check here for a list of WiFi-enabled stations. Trains stop briefly at each station, so it’s important to enter and exit quickly through the doors. On crowded trains, this may require a certain level of assertiveness. 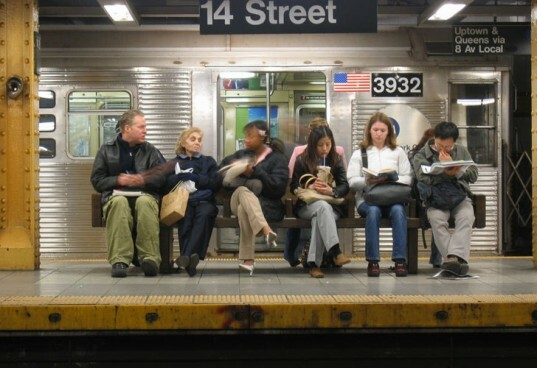 If you cannot find a seat, hold onto the poles or railings (trains often lurch, turn and stop abruptly). Be careful not to block other passengers’ entrance or exit. (You may get jostled or shoved out of the way). Newer trains have signage indicating the current or next stop, but it’s advisable to watch through the train window as you near your stop. It’s not uncommon for train signage to indicate the wrong subway line. As you exit the station, read the signs carefully. Subway exits are often spread out over several city blocks, and you could end up farther from your destination than intended. Here’s a video we’ve created with lots of helpful tips on riding the subway, directly from New Yorkers. Be aware of your surroundings and personal belongings. Stand behind the yellow strip on the edge of the platform. According to the MTA, 141 people were struck by trains in 2012, 55 of them were killed. Always keep a safe distance from trains as they enter or exit the station. During off-peak hours, it is advisable to wait in the Off-hours Waiting Area (look for the yellow signs), which are monitored by cameras. At these times, choose the car with the conductor (you’ll see him/her through the small train window), and avoid cars that are completely empty. There is less frequent service during off-peak hours (nights and weekends). Check for weekend service interruptions. These changes and delays are very common and could derail one’s plans (especially for timely events like theater curtains and flight check-ins). Check the MTA’s website or call 511. Given the age of the system, accessibility is an issue in the subway. While some station have elevators and escalators, stairs are most prevalent. There are no public restrooms in the subway system. 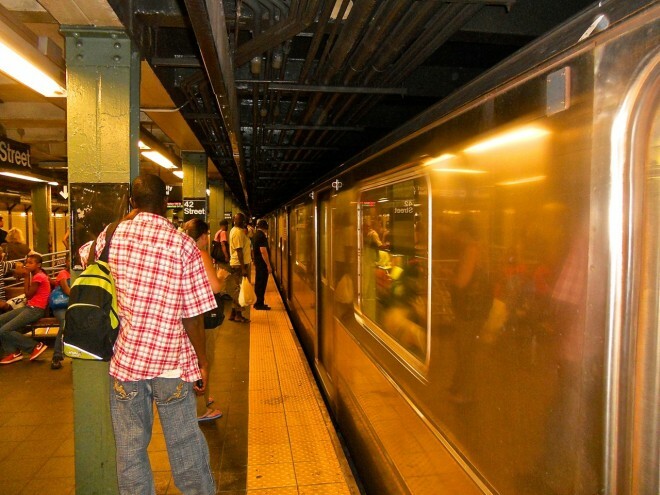 The subway is vulnerable to extreme weather, like heavy rain or snow. During severe storms, check for service interruptions before heading out. The MTA has a Lost Property Unit. Unfortunately, with few manned stations, the chances of left items being turned in are pretty slim. There are several great mobile apps for navigating the subway system, including Hopstop.com, and EmbarkNYC. Both provide detailed directions, including necessary transfers, maps and notification of service delays. The subway doesn’t have to be a dreary experience. The system is decorated with hundreds of works of art in mosaic, glass, lighting, etc., and a Subway Art excursion can be a great adventure (particularly during inclement weather). 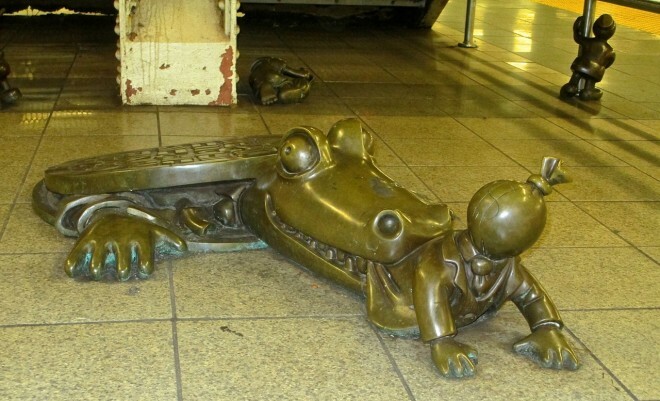 See our picks for Underground Art: Artworks of New York’s Subway. 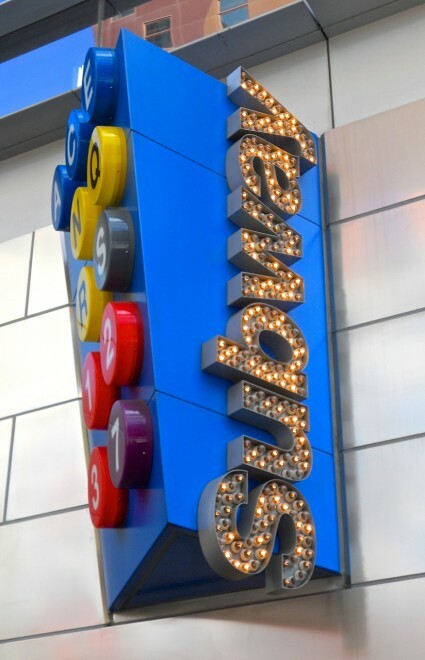 Real Subway buffs should consider at visit to the NY Transit Museum, featuring exhibits about the history and operations of the NYC subway, as well as vintage Subway cars to explore. For a fun and memorable ride, join the annual No Pants Subway Ride.